In the field of pain management, there are continuously improving methods relieving patient’s pain with medications that are non-narcotic as well as opiates. With over 100 million Americans suffering from chronic pain, It is crucial that the field continues to mature with viable options for those in need. Medication management for painful situations often allows individuals the ability to get back to work, avoid depression, maintain a social life and continue to play with one’s kids and pets. 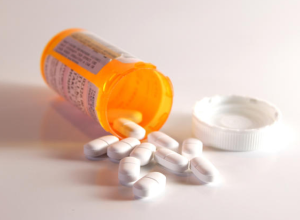 It is important to remember that despite the negative press that has come along with illegitimate medication management, there are acceptable indications for the use of chronic opiate medications. Acute pain conditions such as sciatica, degenerative disc disease flareups, arthritis pain exacerbations, and others often do well with medication management. This may include short-term narcotic medications, muscle relaxers, anti-inflammatories, Tylenol, and sparing usage of a Medrol Dose Pak. These medications often work well in conjunction with interventional pain management such as trigger point injections, joint injections, facet blocks or epidural steroid injections. There are indications for chronic pain medication as well such as for failed back surgery, post laminectomy syndrome, disabling degenerative disc disease and more. Pain management doctors in Fort Myers and Southwest Florida will evaluate patients on an individualized basis and provide customized treatment. This will include a review of medical records along with a physical exam. Safeguard methods such as urine drug screening, pain agreements (also known as pain contracts), pill counts and monitoring of the state pharmacy database are very common and help to ensure patient compliance with treatment. Patients should not get upset when subjected to a urine drug test, rather, simply look at it as evening the playing field for all patients in pain management. Remember, pain management doctors in Fort Myers dedicate their careers to helping those who are suffering, and simply want to be able to provide the best possible care available. 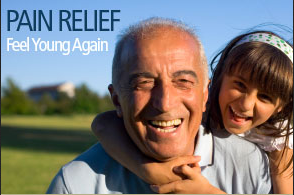 If you or a loved one is suffering from an acute or chronic pain condition in Southwest Florida, help is available. Fort Myers pain management offers Board Certified pain management to help you with individualized care. Call today at (239) 288-0072!